They had just moved in, shelves still bare. But it was time to downsize further. 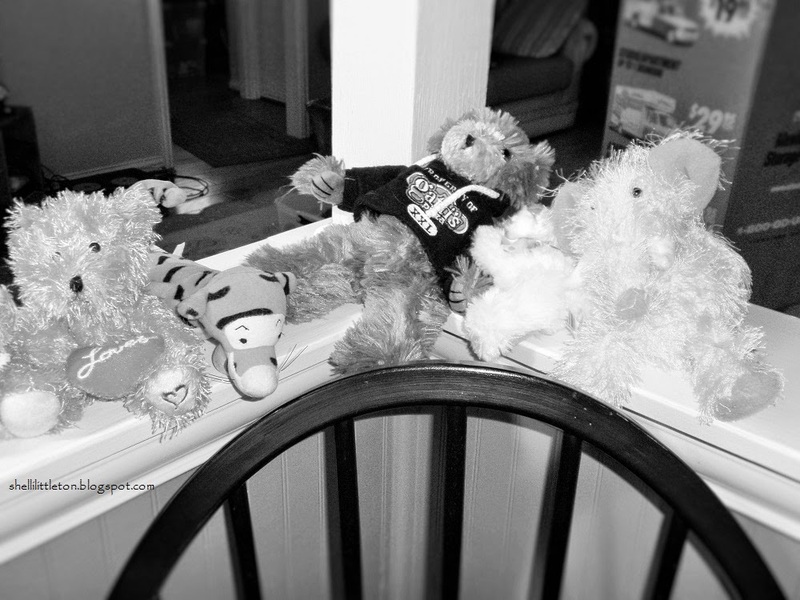 Stuffed animals were the first to go. A celebration was called and invitations sent out for a final farewell. Everyone was summoned. 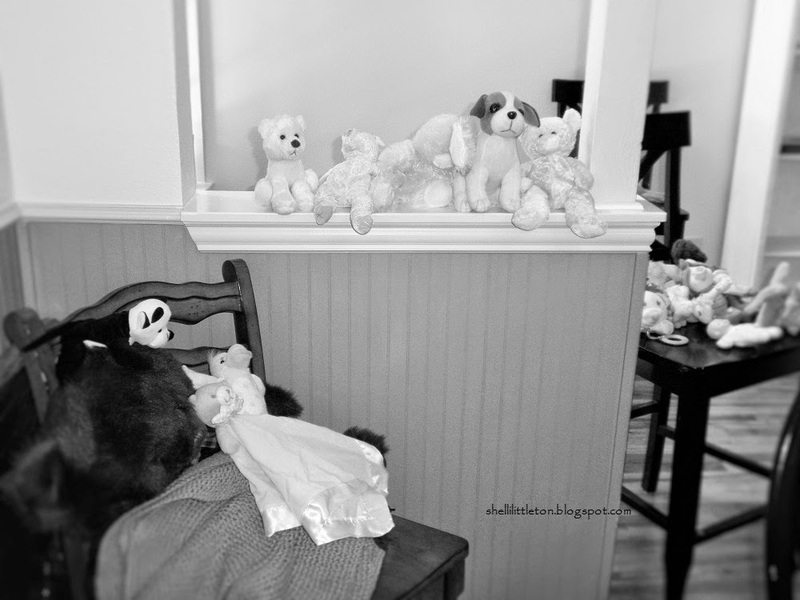 Upon receiving the news, stuffed animals arrived from every location. All colors of the rainbow were accounted for. It was a beautiful gathering, for these animals had been down a very long road together. They had been there for two little girls to enjoy and love. Purchased, given, won – each was special in its own way. Some were stained, some torn, some worn, some slightly rejected. 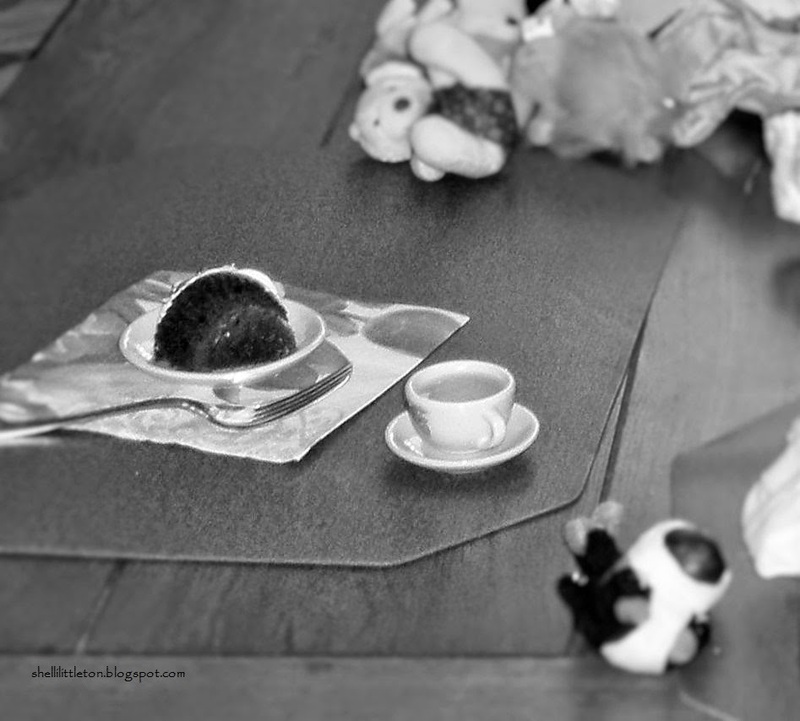 Once assembled, a tea party was the order of the day. After the party, everyone gathered and said their final goodbyes. The parting was sweet sorrow. “Aw, Mom!” exclaimed disappointed faces. Similarly, God did what it took to buy us back, to redeem us. He sent His Son to the cross to make a way for us. We are that special to Him. God will take back what the enemy tried to take from Him. We never have to say good-bye. We never have to experience the sorrow of perishing, being eternally separated from Him. We are His joy. We are His. With a life given to Christ, the shelves never need be bare. For when we pass through the threadbare waters of abandonment, fear, rejection, loss, and the like, He is there. In spite of the temptation to deem ourselves unworthy in our hearts and in our heads, we have been redeemed. We have been purchased, given eternal life … we have won! And our future celebration won’t be for parting, but for eternal. 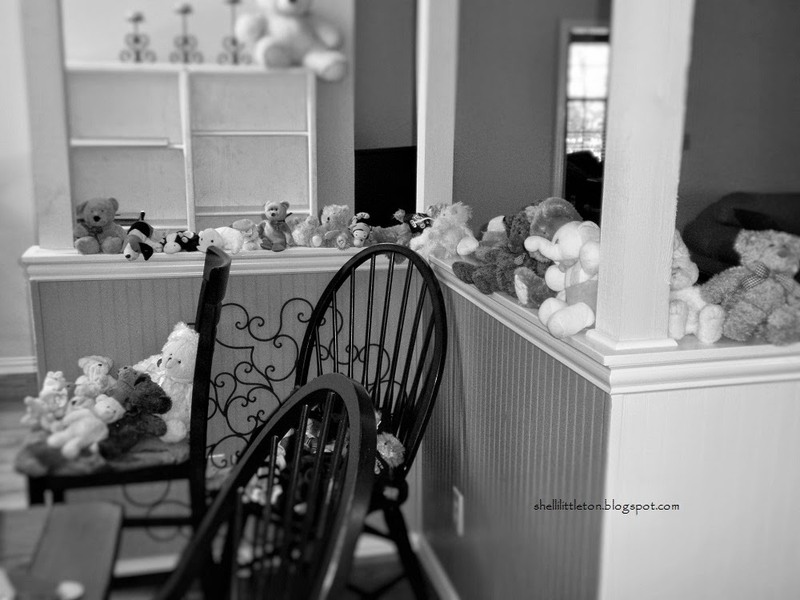 ** The girls still have a closet full of stuffed animals. Oh FINE, make me cry like a baby!!! Jennifer … you are the cutest thing! You made me smile, and you definitely made my day! Something in my eyes. Computer screen's all blurry. Awww!! You made my day, too, Andrew. Have a beautiful Father's Day … you are Father, Brother, to so many! Thank you for stopping by, Andrew!